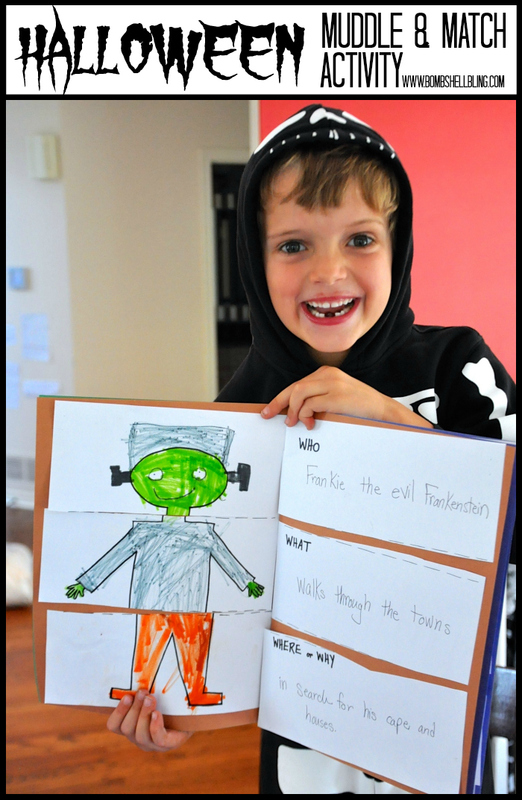 I am an Usborne Books & More Independent Consultant, and yesterday my son was looking at our copy of Muddle and Match Monsters and it occurred to me that we could do my Muddle and Match Activity for Kids with a Halloween twist! 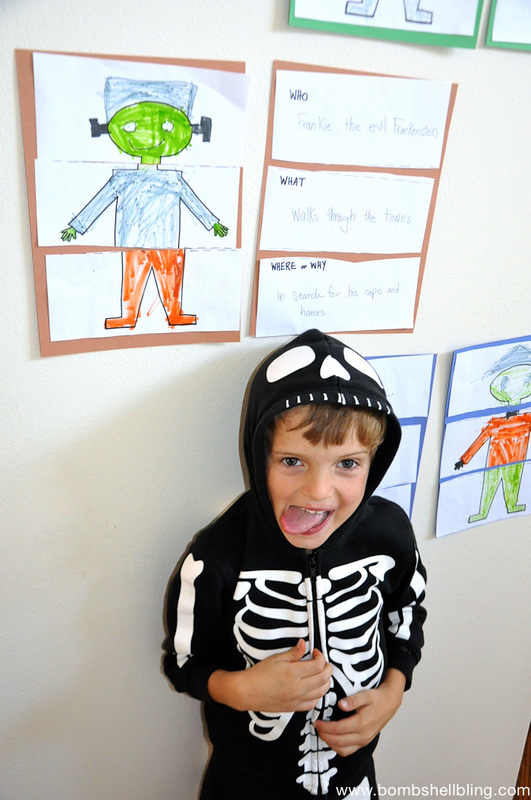 So here you are: Muddle and Match HALLOWEEN Fun! 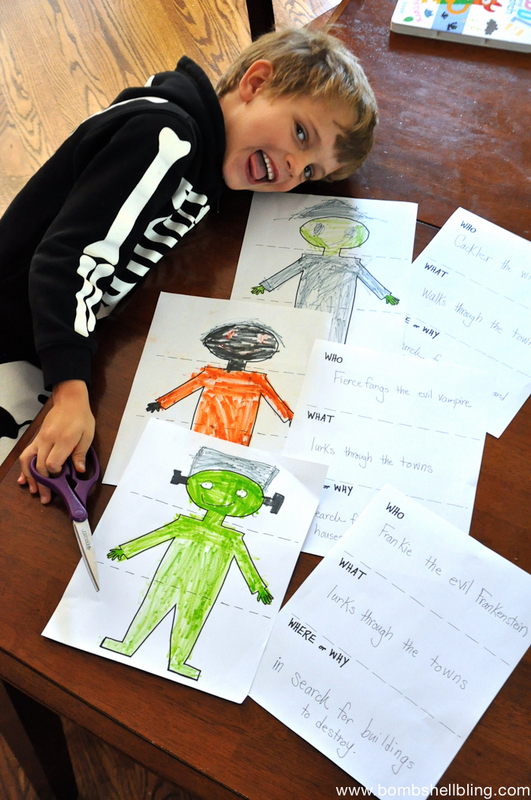 It’s art, writing, and silliness all in one simple activity! 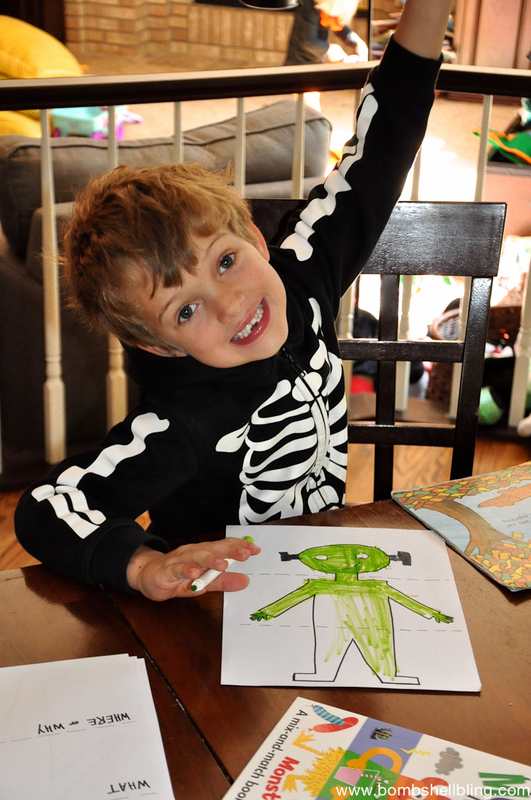 We have done made our own Muddle and Match creations before, but today we went with a Halloween-y twist. 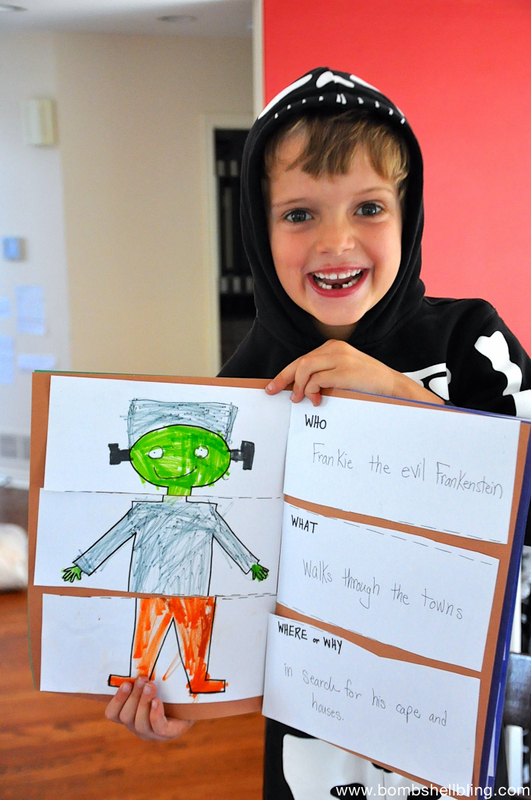 He chose to draw a witch, Frankenstein, and a vampire. I love that he used the work “lurk” without prompting. Next he cut the strips up and put them all into a pile facing downward. He drew out the pieces of the pictures randomly and glued them onto a piece of colored construction paper. 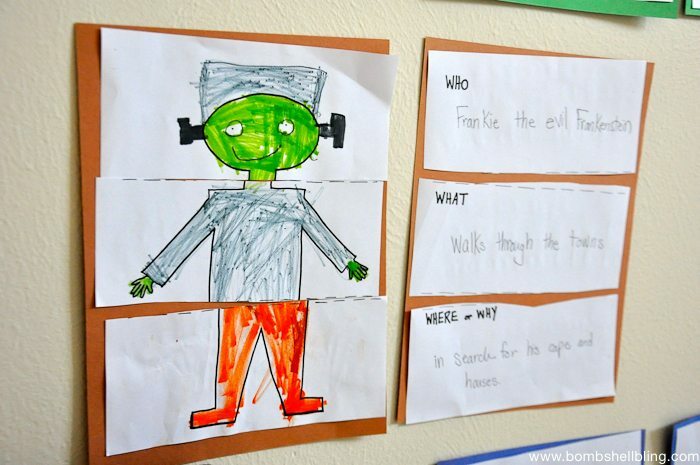 (We used two pages each of three different colors of paper so that we would know which story went with which picture.) Next we found the story parts that matched the picture parts and he pasted those on the coordinating color of paper. That’s it! We hung them on the wall, but then he changed his mind and wanted them stapled together like a real book instead. I love activities that get his brain going! I hope you have fun trying this activity with your own kiddos! If you want to win your own copy of Muddle and Match Monsters then come join in my HALLOWEEN SPOOKTACULAR STORIES FB PARTY!! One of the many books being given away at the party is Muddle and Match Monsters. GOOD LUCK! 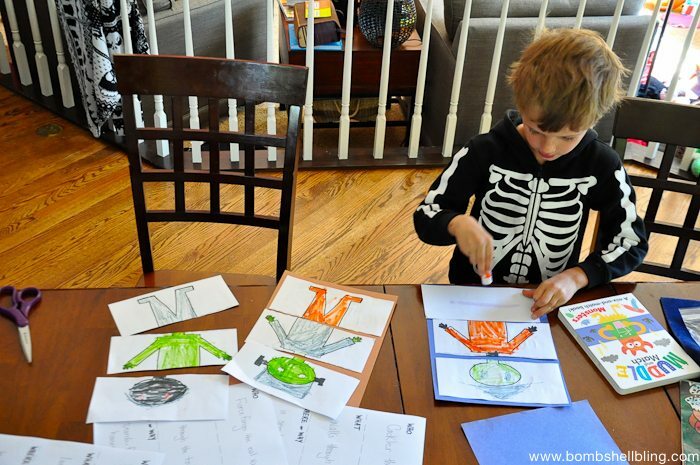 If you like this post then you should also be sure to check out the kid-friendly Halloween posts below! Don’t forget to follow along with my Pinterest Halloween board for loads of Halloween inspiration!